Our Vision: The practice of massage therapy is evidence-informed and accessible to everyone. Our Mission: The Massage Therapy Foundation advances the knowledge and practice of massage therapy by supporting scientific research, education, and community service. Advance research on therapeutic massage and bodywork. Foster massage therapy initiatives that serve populations in need. Promote research literacy and capacity in the profession. Support the evidence-informed practice of therapeutic massage and bodywork based upon available research, client factors, and practitioner experience and judgment. Fortify the Foundation’s financial resources and organizational effectiveness. 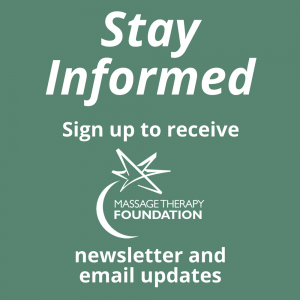 The Massage Therapy Foundation was founded by the American Massage Therapy Association in 1990 with the mission of advancing the knowledge and practice of massage therapy by supporting scientific research, education, and community service. The Foundation is able to provide these services by individual gifts, industry support, and fundraising events. The Massage Therapy Foundation and the American Massage Therapy Association share a profound commitment to advance the massage therapy profession through promoting scientific research and evidence-informed practice. Although we are separate organizations, together, we endeavor to collaborate as full strategic partners to realize our independent and interrelated missions. Our relationship will live in perpetuity. 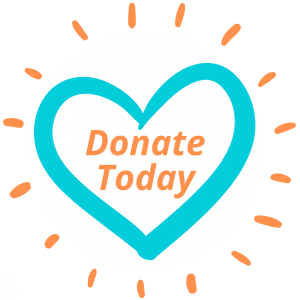 While the American Massage Therapy Association is committed to financially supporting the work of the Massage Therapy Foundation, both organizations call for partners in funding the Foundation’s mission.